Having tried the wines this week – and my clairvoyant hat for a second, I’m tipping that there will be no shortage of attention given to the new 2010 Wynns John Riddoch. It is, to my palate at least, amongst the finest John Riddoch releases since the 2004 and back to the 1998 before that. It’s a superb Cabernet that will live forever. Even despite the price hike I’d say it is worth a bottle or two. The other wines in this new lineup are more than handy too, even if they aren’t always to my taste. Quality is very high indeed. There is, of course, one glaring exception. One wine that is not like the others. Unfortunately for Wynns, that wine is arguably the most important one too. 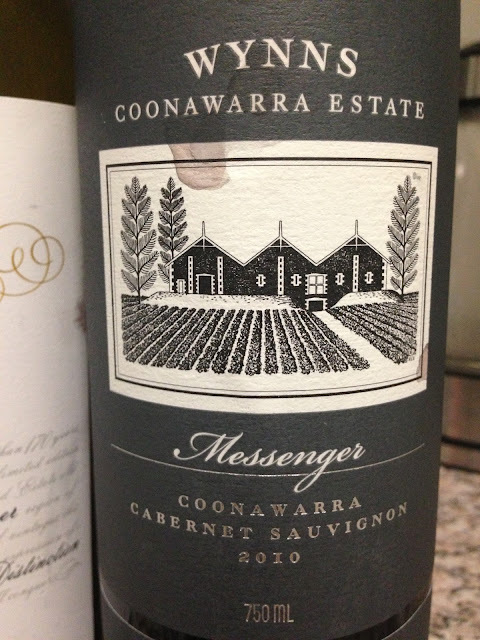 I’m talking about the Black Label Cabernet, and this year it’s from the 2011 vintage, a year that really was a particularly tricky one in Coonawarra. So tricky, in fact, that quite a few producers are skipping it altogether, moving right along from brilliant 2010 to (also brilliant) 2012 and forgetting the light, leafy wines of 2011 ever happened. Of course not everyone struggled, and some of the pre-release 2011’s I tried when in Coonawarra recently weren’t that bad. Yet there is no disguising the fact that the wines are very different from the vintages either side, and often not for the better (like with the Black Label). Anyways, let one wine not dictate the form of the release, for there is much goodness here. My notes below are from a serious of tastings, with most wines looked at on Friday and then again on Monday afternoon – largely to see how they progressed. I’ve included my notes from a shorter tasting at the winery back in early June when I tasted some of these as pre-releases, along with a look at the Messenger last week. I’m also interested to hear what of these wines would you consider buying – a Black Label to keep the vertical going? White Label Shiraz for bargain drinking? Let me know. Drawn from the dry-grown Messenger block, planted in 1985. I'd have to say that if $149 is the asking price for Riddoch or the Michael then they have priced me out of the market, regardless how good they are. With 2010 being such a good year there are lots of other wines I would (and have) put my money into. I've bought some Balnaves Tally, Penley Reserve, Majella and Leconfield so far. I'll be really interested to have a look at the 2010 Katnook Odyssey when it comes out as the Amara vinyard Cabernet was the standout for me at their cellar door in October last year. I'll reserve judgement until I've tried to 2011 black label, but it is unlikely I'll be buying much 2011. I did try a cask sample of the Majella which looked pretty good. The problem that the 2011s have is that we know 2010 was a great vintage and the expectation is that 2012 will be pretty good also. Is Wynns day of any relevance anymore? Back in the day I would be keen for release and pop down to Summerhill or wherever to try asap but these days? I don't have a single one in the cellar although I did mean to buy some 2010 black label CS, just never got around to it. There is some serious competition out there for the wine consumer's dollar and Wynns don't seem to make a compelling enough offer.